If you are looking to narrow down the field in the Grand National, then the weight carried has been an important factor, especially in testing conditions. In the last 10 years only three horses have won carrying more than 11 stone, Don't Push It carrying 11-5 in 2010, Neptune Collanges carrying 11-6 in 2012 and Many Clouds in 2015 carrying 11-9, with all three being run on good ground. It makes sense to look at horses that are allotted weights up to 11 stone and discount the rest if the ground has any give in it, which does eliminate 11 runners, many of which are the market leaders. If there is good ground on the day then it does lessen the impact of weight, with horses like Valseur Lido and Total Recall making appeal as class horses. I like to look at two types of horse for the Grand National, proven stayers and horses that have shown high class form in the past but have now slipped down the ratings as their form has dipped. The National can also be a great race to trade back-to-lays with horses that like to race prominently and have shown a liking for the race previously. I also like to look for horses at bigger prices as I would rather have several long priced runners on my side than a short priced market leader. Had been off for a year before making a respectable return to racing at Newbury in March, following a wind operation. He finished 3rd in the 2016 Scottish Grand National to be only beaten 3 lengths so this trip of 4m2Â½f shouldn't pose any problems. His trainer has stated that he has always thought of him as a Grand National type and with a forward running style he could run well for a long way with just 10-11 on his back; he is a best priced 25/1. Has finished 6th and 7th in the last two Grand National's and races off just a 1lb higher this time around. In 2016 he was sent off with a BSP of 158, where he traded down to 13.0, while last year he was among the market leaders with a BSP of just 16.81. He is a best priced 33/1 this time around and he looks to have been prepared for this race by David Pipe, with another good run expected if avoiding trouble. Looked to be going really well two out but was badly hampered at the penultimate fence by Cause Of Causes. He still looked to have a chance after the last but was hampered again by the same horse and eventually finished fifth. He races off a 4lb higher mark this time around, owing to his win in the Grand Sefton over the Grand National fences in December. He was sent off a 50/1 shot last year, with a BSP of 70 where he traded as low as 6.0 in-running. He is 33/1 this year. Trainer Venetia Williams knows how to win big staying chases and this 100/1 shot won't mind any give in the ground. Sitting as horse number 43, he needs 3 runners to come out for a place in the line-up but like her previous 100/1 winner Mon Monne he could surprise at big odds. He was a 160+ rated stayer in his prime, but now finds himself eased to 144 for this race. 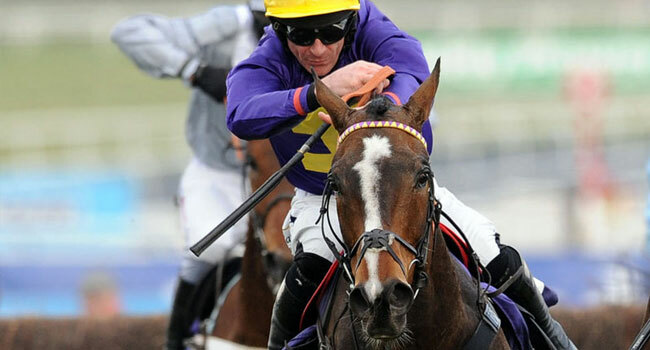 He finished 4th in last year's Scottish Grand National off the same mark, carrying 11-10. Chase The Spud won that race carrying just 10-12, but he now finds himself with the tables turned, having to concede 5lb to Houblon Des Obeaux. Some give in the ground could see him improve on last year's 10th place off a 5lb better mark. Twice a grade one winner in 2016, winning the Irish Gold Cup and the Punchestown Gold Cup when relative outsiders for both. He hasn't won for nearly two years, which has seen his official rating at a high of 166 drop down to just 152 for this year's Grand National. He often takes a position well off the pace, which isn't great in a 40 runner race like the National, but he has the class to feature off just 11-0; he is a best priced 66/1. The former Gold Cup winner sits in position 41 of the 40 declared runners, but looks certain to get in the field. Rated as high as 165, he now finds himself racing off 144, which is 3lb lower than when he finished 7th last year. He has not won since his Gold Cup victory in 2014, where he went round at his own pace, detached before picking off the field late on. He ran in the 2015 Grand National, carrying 11-10 where he was never competitive, but found last year's 10-10 more to his liking to finish 7th. With just 10-6 this year he could take closer order, especially if he can maintain a more forward position early in the race; he is also available at 66/1.